Mark Le Tissier has been named as the Isthmian League Division One South club's new chairman. Le Tissier was one of the co-founders of the club back in 2011 and had been general manager. He takes over from Steve Dewsnip who resigned last month owing to work and family commitments. "Mark was the natural choice - no-one understands the club better than him," said fellow director and the club's company secretary John Loveless. 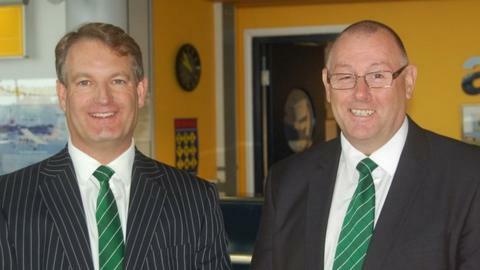 The club's communications manager Nic Legg and chief steward Chris Corbin have also been appointed as directors.